Are you interested in gaining a greater understanding in one of the fastest growing sectors of the UK? Then our BSc Adventure Tourism Management degree at Aberystwyth University is you. This degree is engineered to enable you to unlock and develop skills in the business, marketing and management of adventure tourism operations. You will also learn in a stimulating environment and study in a location where the opportunities for adventure are unparalleled, allowing you to understand this young industry in its development. 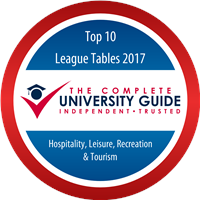 Our Tourism Management courses are in the top 10 in the UK (Complete University Guide, 2017). This degree is engineered for those wanting a career in tourism, the world's biggest industry. Study in location that is a stone throw away from some of the iconic tourist attractions namely, Snowdonia, Zip World Velocity, outdoor biking attractions and the Cardigan coast line. You will be taught by enthusiastic staff who are experts in the adventure tourism sector. During your degree, skills such as communication, time management, objective management will improve to employer standards. Enjoy many field trips to a variety of destinations inside and outside the UK. What career prospects are there for you when you graduate? What skills will I acquire from this degree? We deliver our courses in the medium of lectures, seminars and tutorials. You will be assessed through essays, business plans, reports, reflective journals, projects, presentations and examinations. We will assign you a personal tutor who will be with you throughout your degree, this person will help you any problems whether these are academic-related or personal issues.